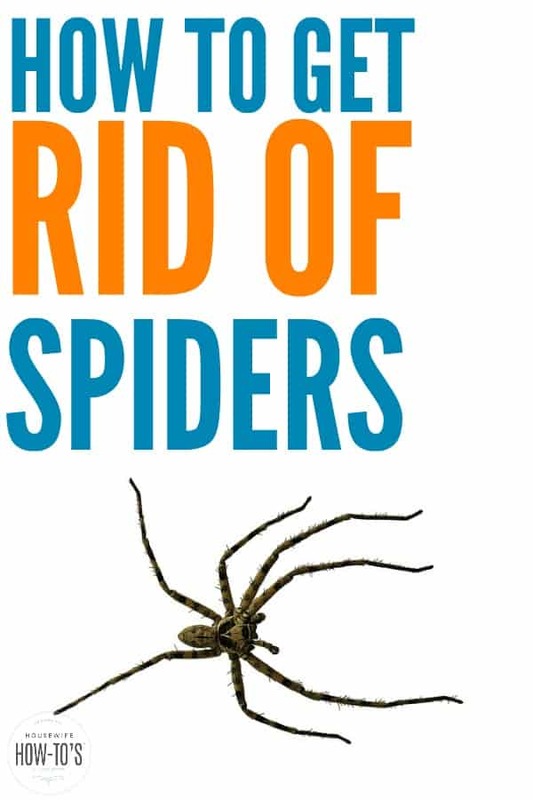 How to Get Rid of Spiders Naturally and KEEP them Away for Good! When seasons change, many homeowners find themselves wondering how to get rid of spiders in the home. 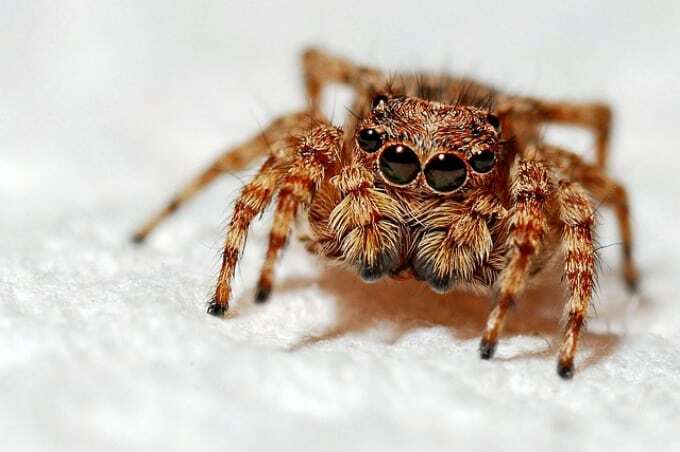 It’s not so much that spiders suddenly move indoors — in fact, some scientists claim you are always within three feet of a spider — but we’re more likely to discover their webs as we go about Spring Cleaning. Clean often and well: Running the vacuum through the center of the room and dusting horizontal surfaces isn’t enough to deter spiders from making your home their home. You already know they love to build webs; your job is to make sure that they can’t. • Vacuum behind and beneath sofas, chairs, and nightstands. • Use an extension dusting pole to clean ceilings, light fixtures, and corners. • Once a season, clean your own air ducts. • Inspect your home’s foundations and walls and caulk or otherwise seal problem areas. • Don’t stack firewood along your home’s foundation. Keep shrubs and trees from touching your exterior walls, and trim or mow grasses regularly. • Be sure to close your chimney flue when the fireplace is not in use. Not only will this help deter spiders, but it will also help control your utility costs, too. • Spiders and other pests often enter our homes via paper grocery bags. Use cloth grocery bags and launder them regularly. • Wash your bananas (and other fruit). Seriously. You only need to see a deadly banana spider’s egg sac on your produce once before this step will become a habit. Use natural deterrents: Many of the same methods for controlling cockroaches or getting rid of ants will deter spiders, too. • Place spider glue traps in areas where you often find spiders, like behind the water heater and under utility sinks. Call the pros if you must. Particularly bad infestations, such as those found in older homes, may require a professional exterminator. These days, many such services offer non-toxic solutions, so be sure to ask. Once the infestation is under control, the above methods can prevent future problems. 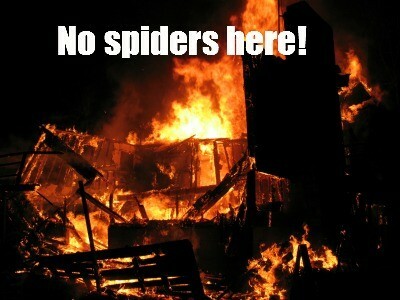 Or there’s always this way to get rid of spiders in the house. Essential oils are NOT good for cats. So many articles I’ve seen offering this solution (including too many offering it as ‘pet safe’ fail to mention that fact. A disclaimer would be nice. As a cat lover, I understand your concern. (My cats are 12 and 6.) But to say ALL essential oils are not good for cats is incorrect. Catnip oil, for instance, is used in a variety of cat toys and, when combined with water or carrier oils, is perfectly safe for cats. You might know catnip’s Latin name: Nepeta cataria. It is in the mint family, as is peppermint — the essential oil used in this recipe. Many people, in fact, find their cats enjoy the smell of peppermint and that it has calming effects on them when used properly. That last part is important. Just as catnip oil must be diluted, so must peppermint oil. If it’s applied directly to mucous membranes it will burn… and that is true whether we’re talking cats or humans. If properly diluted, it’s not at all harmful. The same can be said of SOME but not ALL other essential oils. They were, after all, among the first medicines used to treat animals! In other words, while I understand your concerns, I didn’t include a disclaimer on this because I know the use of peppermint oil when properly diluted is safe for cats. But thank you for caring about your feline friends! It’s quite late there (I’m in Kansas, in the States) but you’ve done the best thing you can do at this time of night by pulling your babies into your room. Tomorrow, do the cleaning recommended in this article. Then see if the chemist has peppermint oil. Follow the recipe in this article and spray around the base of all walls and doors in your home, and also spray the window wells. Repeat that twice a week. And do try to get some rest! I have natural wood window sills & wood base around the floors. Will this spray harm the wood if I apply it & it doesn’t get wiped off? Assuming your wood trim is sealed in some way, this is safe. I have wood trim around my windows and baseboards, too, and haven’t had a problem using this spray over the past 12 years. Silly question I suppose – should I spray BOTH the inside AND outside of the windows & doors with the peppermint oil vinegar solution? It’s not a silly question at all! I think you’d get best results spraying both sides though, obviously, if it rains you’ll want to reapply outside. I’m still not sure what you’re saying, Mya. No silly question….I just woke up at 1:00 to use the restroom and a huge spider was sitting right next to my head..YIKES…….I am spraying inside; outside and it that doesn’t work I’m moving into a plastic bubble. Geesh it is really bad this year. I might need a plastic bubble, too. Was sitting on the patio yesterday and thought I felt something crawling on my leg. I looked two or three times and saw nothing. A minute later, I felt that same sensation on my stomach — under my shirt. Looked down and, sure enough, there was a spider on me. Between the horrified dance and ripping my shirt off to get the spider off of me, I gave my neighbors quite the show! I live in Ky and just within the last few weeks I have seen huge black spiders in my home. I have never seen them in the house before and certainly not in the numbers i am now!. Just tonight i have killed 5 of them,which are bigger than a quarter. I feel like I am stuck in a bad nightmare. I have a major fear of spiders so i hope these natural remedies help. All together i have killed 15 in the past week. Where are they coming from? The spiders are probably coming in due to the change in season. They’re looking for a nice, warm place to spend the winter. Hope the tips in this entry helped! Can’t wait to fill my squirt bottle and get to work around here!! Spiders are fine if they stay outside. They’ve just made themselves too comfortable here this year…. We’re having more spiders around here than usual, too, Sandy. Last week when I was getting out of the shower, I grabbed my towel and found a HUGE spider on it. Needless to say, I did quite a lot of spraying around the house after that! I absolutely am terrified of spiders and even though sometimes I do try to kill every last spider on earth and get filled with a spider-killing vengeance I just want them to leave. If they don’t bother me I have no need to kill them, but alas, they never listen and they can’t say I didn’t warn them. I try to look for ways to keep them out with natural deterrents like peppermint oil. So this article was helpful. I can’t stand spiders, either, though I try not to kill them outdoors. I’m glad to know you found the article helpful! The best way to rid spider is the vacuum cleaner. Every year my aunt start a (cobwebs) spring cleaning in her garage and basement. There are so many giant Hobo-spiders, with large webs in there. After vacuuming we checked the full dust bag and all spiders were killed inside, most of them were split in several pieces! The suction was to strong for the spiders. Another completely non-toxic way to control creepy-crawlies in your house is to sprinkle food-grade diatomaceous earth (which you can buy on Amazon or in a lot of locally-owned gardening nurseries) under and behind appliances and along the floor in closets and pantries. It is completely safe for pets and children; it’s used as an additive in cattle feed, so you could eat a spoonful of it and it wouldn’t hurt you at all. It’s the microscopic skeletal remains of diatoms, and it has sharp edges that cut into an insect or arachnid’s exoskeleton and cause them to dessicate. I’ve been using it for years. Amen. I say that about mosquitoes, too!